Super Savings Item! Save 34% on the URSFUR Mink Full Fur Russian Cossack Hat (One Size, Natural Color) by URSFUR at Laurenee Lifestyle. MPN: GCID-SD-M1335-1-1. Hurry! Limited time offer. Offer valid only while supplies last. 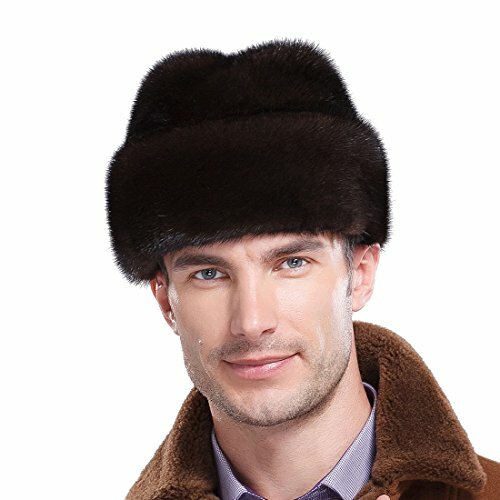 Brand:URSFUR Mink Fur Russian Cossack Hat - . Made from ranch raised mink. Only the best grade mink is selected to manufacture this beautiful hat. Classic style,One size fits all ,Cozy, comfy fit! Manufacturer: Shijiazhuang Starway Imp&Exp Trading Co,.Ltd. Publisher: Shijiazhuang Starway Imp&Exp Trading Co,.Ltd. Studio: Shijiazhuang Starway Imp&Exp Trading Co,.Ltd. View More In Skullies & Beanies. If you have any questions about this product by URSFUR, contact us by completing and submitting the form below. If you are looking for a specif part number, please include it with your message.